I fell behind and spent the rest of the month either catching up or trying to keep the lead I had. I may have posted about the near disaster with my computer in late September, early October. Long story short, got a new hard drive, got it loaded, updated and voila! New stuff. Heh Heh. Didn't realize how many programs I was using. Downloaded the ones I thought were what I used, then opened up my backup. Scrivener, Aeon Timeline, Paint dot net and the trusty courses I got from Holly Lisle's site. Thought I was finished and could set about doing my work. Ah, not. Had to search for the drivers I used, since, of course, my computer is out of warranty. Had to reinstall and update my antivirus program. Hunt for the programs for my camera, phone and music. Don't know that I mentioned this, mayhap a time or two. I've found that I must have music when I write. Not sure why. Got those up and running. Then 01 November 2014 0000 hours and I was off to NaNoLand and writing. Not. Scrivener was not working. Kept getting errors. Spent a frantic few minutes trying to locate a working copy. Heehee. Discovered I had forgotten to download a very important part of my whole writing process. Open Office is what I use when I need one of those programs. Apparently, I never saved a copy to rtf, my preferred method of saving. So, very proud of myself, I kept up with the word count for a few days. Life happened. A priority or two I'd moved lower on the list for November suddenly catapulted to Number 1 and must be dealt with. A day or two later, I happily start writing and find I am a few thousand words behind. So, there I was from the 11th to the 24th catching up. Then, Thanksgiving. I'd wanted to be done before then. However, there's not enough hours in the day to do the many things that must be done when preparing for a feast. As I shoulda remembered. Took three days to knock that count of 2,000 to the point of yay, 50,030 words. Validated my word count on Saturday. Yay. Point of the above? Back up, back up, back up your stories, even if you don't think you'll be using them. One never knows what might transpire in the course of every day life. Sometime in early January, I will be updating the story I have up on the Smashwords site. Have to reformat and make sure the revision is where I had it. So, if you want the story "Storm Clouds" while it's still free, you have 45 days to download it. After January 15, it will be $2.99 per copy. 'Stories of the People' and 'Bagamose' - I will also be updating the stories I have on JukePop Serials twice a week, on Tuesdays and Thursdays until they're done. I will be doing a final revision and then uploading at Create Space for a print copy. However, the final electronic versions will stay on JukePop, for free. Or one can donate using my donation buttons-Amazon or Paypal. Thanks go to Cat Gerlach, for inviting me to participate in the "My Writing Process" blog tour where writers link back to and forward to other writers' blogs. She can be reached on her website at http://www.katharinagerlach.com/ and she is on Twitter at @CatGerlach. Here is a link to freebies on her site – http://www.katharinagerlach.com/english/freebies.html. The Witches of Greenwitch is a good place to start. Currently revising a series of novels set in “Niiganabiik's World,” a fantasy world I created for my stories. I have a collection of short stories “Stories of the People” published on JukePop Serials where I publish a new chapter every week or so. The collection introduces characters from Niiganabiik's World. And provides some background for the full length fantasy novels. They appear in other books in the series, not always as the main character. Stories are a big part of my culture. It's something I grew up with. Many of those stories have been retold in Niiganabiik's World, along with a few other ideas borrowed from other cultures. There is a bit of history, culture and tradition. I've worked on blending aspects I've found fascinating. And some of the creatures I write about are a normal part of my everyday life. Such as spiders, of course, “army worms” and “rice worms.” Mind, I don't know the actual scientific names for some of the creatures. I wrote them into the stories since I figure not a lot of people have heard of them. Magic and fantasy has fascinated me since I was a child listening to stories about little people, spirits, and water beings. I was the child who expected to see one of the little people out for a stroll, who'd look for the being making the noises in the woods. Not all of the stories I heard had “fairy tale endings.” Quite a few were frightening to think about, especially late at night when I was supposed to be sleeping. And natural happenings were explained with a story. Well, I start with the idea of writing a book. So...I just started writing and came up with a rough draft. Very rough, so rough that I haven't yet revised it. I've been writing other books to explain some of the events in the first book I'd written. To date, I have 12 books waiting for the tick mark “finished.” Most of these I wrote during the month of November at a place called NaNoLand over to the NaNoWriMo site. (National Novel Writing Month). In order to revise and make the books the best I can make them, I looked for writing tips, advice and learned to blog, among other things. Among the tips, advice and other writerly activities, I came across Holly Lisle's site. I bought a couple of her short courses and started my revising from that point. And the experience has been great. I follow her plans for the most part. She helped me bring order to the chaos of the stories I wrote. The main thing I learned was that most of what I wrote is backstory. And that has helped, tremendously, in getting my novels to the point of what I remember hearing as a child. My loyal readers and a few fans have been patient with me. I have some experience with sales work, having sold handcrafted, traditional items. I decided to get my stories written, so I can concentrate on the marketing. This is mentioned a few times: Publishers don't do much help with sales, if you're not already well-known and it behooves authors to learn this. Thus my careful introduction of Niiganabiik's World. Another person who has helped me learn a great deal about writing is Gwen Gardner, aka Lady Gwen. She has a couple books out, and I've read 'Givin' Up the Ghost.' She can be reached over to the Untethered Realms group blog. Angela Brown is also part of the group. I've read Neverlove. And Roland Yeomans at Writing in the Crosshairs. I've read the Last Shaman. All three have a couple other books I've put on my TBR which, of course, I still have to get. 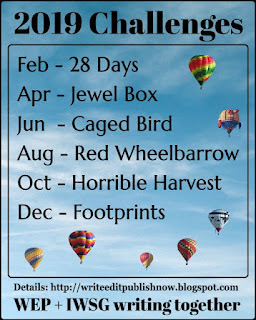 This blog tour is mostly to encourage reading of the blogs using the #MyWritingProcess and promoting them on Twitter. Use the hash tag and discover some new voices out in BlogLand. Who knows, you might just find a new favorite. Well, today's post has much to do with bugs, imps and other pests. The ones that creep out of dark corners, drop from the ceiling and scamper across your path. Now, one could reasonably say, what do these things have in common with writing? Other than the first thought that pops into one's mind after the initial reaction "Ick!" Plenty. If one watches them enough, they could stir the imagination in ways never traveled. For instance, I would sit and wonder what an ant thought if it noticed me watching it. What was that antennae waving about for? How did that one get so big? Bringing me to the next thought-mutations, bringing me to the next one-chemical, natural, no enemies? Fine and dandy. 'Cept those aren't exactly what I was referring to when dealing with this month's bugs, imps and other pests. As you know, if you've been following my writing career, I've been accepted over to the JukePop Serials site. Whereupon, I happily proceeded to post my chapters. Being as this particular book is a set of short stories with a Storyteller as the link between each, I've had to publish it by scenes of about 1000 words. I thought I could save the chapters in draft form, you know the review button which saves the chapter whilst one tweaks little things, such as typos, spelling errors and anything else one didn't notice before submitting. Therein lay the start of this months particular adventure. Or rather,misadventure. I had made an edit to the very first chapter, adding in a suggestion from a reader over to the Camp NaNoWriMo site. Duly hit the publish button. Next, having inherited some of the impatience I occasionally complain about from my father, I hit the back button on the wrong tab. Thereby, reminding me that I mustn't ever have the million and one tabs, windows and documents open. Apparently, I am one of those who do not pay as much attention to the clicks on the many tabs on the task bar of my trusty computer as I've discovered time and again, resulting in my determination to change my ways after discovering another error in my ways. Discovering a loop in the book caused me to send an email to the overworked personnel over to the site. As it was the start of a holiday weekend, I duly notified my readers on my Facebook page and maybe Twitter (or not, can't remember.) Then, impatience reared it's ugly head and I notified JukePop on their Twitter account. Searched in vain for the DM and once again, discovered that all the millions upon millions of Twitter users have discovered how to disable the DM and I haven't. So, a dilemma presented itself to my weary little bird brain. Should I or Shouldn't I? I contemplated, meditated and debated this question with myself over the course of the next 24 hours or so. Yep, I tweeted a message. The guys at JukePop proceeded to fix my mistake. Yay. All was back to normal. I got a question or two from a trusty reader who was having a bit of a problem with Chapter 5 sending her into a loop. Of course, I had noticed this myself. But I discovered that if I went to the chapter links, I could get to the right chapter. So I proceeded to show her the tabs, etc that she'd need, i.e. Bookshelf, chapter and Voting button. We got her safely past the redirect loop. That reminds me, she wanted my PayPal email which I still haven't put up on the site. Now, should I rush off and do that now whilst I'm thinking about? Best not. Anyways, I discovered the same loop redirect and this time, finally hit the "learn more" link. Whereupon, I discovered that I needed to clear my cookies and cache. Which I happily did, forgetting that I would need to sign in to all the various sites once again, as I haven't mastered the art of clearing just one site's cookies. So, I proceed to my Blogger dashboard, intending to finish my post I had started at the beginning of this current fiasco I created for myself. Much to my dismay, I couldn't bring up my post editor. Spent a vicious headachy period trying to discover what I had done. Those moments weren't as frantic as the time a year or so ago, when I had clicked on one of those imps of the spam world, but still threatened to send me into a full blown panic. Then, I remembered that I had bookmarked another trusty helper on the Blogger forums known as Nitecruzer. Yes. Paid attention to his remarks, which happily didn't confuse me more as my headache disappeared. He asked a couple simple questions and I clicked the links and read his posts. I was just about to send the overworked team over to Blogger forums a request when I remembered an extension had been added, enabled and left to work it's mysterious ways upon my browser. I disabled that pest and voila! Here I am, happily posting and reading and going about my business as usual. Hmmm. I saw a big ant making it's way across the boardwalk outside. Thinking I'll check it out. Sad to say, I've been so busy the past couple months, what with reality, getting my short stories up on Jukepop, trying to get this and that done, I've only now gone to check Google Analytics. Ohhh. I really need to get some income from my books in order to keep up with that sort of stuff. Well, analytics is something I've always tried to keep to the basics until I can get someone to do the stuff for me. I consider the basics as a better read on who is reading my blogs, when the most traffic is. And no, it doesn't give me personal info. That sort of stuff is not my cup of tea. At any rate, I decided in the wee hours of the morning to check my account. Huhh. A whole new setup met my wide eyes, confused my poor little bird brain and sent me scrambling to find out why I had errors. Two of them, mind now, it shouldn't make that much difference. Says two of my blog posts weren't verified or some such event. Whilst checking that out, I found out that I had indeed verified these things during the last round of marketing stuff which I totally added to the longish list of things for my marketing analyst to do. If and when I ever get one. Anyways, the whole thing was actually quite simple. Seeings how I hadn't visited that much put upon site in a few months, which I frantically decided to just leave for the time being the last time, most of the work had already been done for me. Yay. Doing cartwheels. Now, all I had to do was add the tracking code. 1. Dashboard made more sense. Only a few clicks to get to where I wanted to go. 2. Easier for me to find out where the confusion sprang from when last I tried to get something done over there. 4. Now, there are a whole lot of other thingamabobs, thingamajiggies, bells and whistles that can be added. Happily, I don't need them at this time. Now, I'm hoping that I really can leave the current setup until I can hire that marketing analyst. For now, I'm content with my blog being read, my short story collection finding its place in this big wide world and my social links appear to be working just fine. Adios, aloha, giigawabimin noongom. I've started a separate page for Niiganabiik's World on Facebook. Links will be posted on the page for books set in my world. Of course, the first book I've released is a serial on #JukepopSerials Stories of the People Niiganabiik's World. Now that the first bit of excitement has passed, I am settling down and extending an invitation for you to join me in Niiganabiik's World. The Storyteller* - recounts history, adventures and visions of the People. They are chosen for their acting ability in childhood, trained in memory techniques and practice every day until they can pass a rigorous test. They tell stories each Moon detailing some important event that occurred in that Moon, sometimes, two or more events. Stories are divided: those for the People are told during the cold Moons of Winter, those for Clans at various clan gatherings during the other seasons, and ones for Family are bedtime stories. Naturally, being fun-loving people, the stories for the family are the most repeated, the most loved and may or may not be included in the great, formal stories told for all the People. Clan stories are only told during Clan gatherings for the specific Clan. Thus, ends the first look into Niiganabiik's World. For more, please join me on Facebook or Jukepop Serials. Chii-Miigwitch, many thanks for reading, for supporting me and having faith in me. *A link that explains Storytelling within the Anishinabe culture for those so minded to know. I have less revising to do and when I see the report card, I am doing the happy dance. My first drafts have improved immensely since I started using the gadget. There are all kinds of helpful things it does, such as "Adverbinator," "Weak Words," and "Passive Voice." Nine in all. The one that has confused me is "Homonyms." Over the years, I've looked at the colored words in whatever passage I happened to be working on. Found the homonyms with a puzzled frown on my face. Never did anything with them because I couldn't think why they'd be highlighted. Then last evening, I was happily checking the latest chapter I submitted to Jukepop Serials this a.m. Found very few of those brightly colored phrases, words and whatnot. Happy, happy, happy. Aha. What was this? A few of the words were lightly colored. Checked the legend for its meaning. "Homonyms." Again. Now what was I to do? I most certainly didn't want those little colored markers on my writing. Must be a hangover from highschool. Ackk! Short break whilst I recover from the shock of power failure. Ratted dratted gremlins. Let me see if I can redo that last paragraph. I was in the midst of typing my best lines for posterity. Oh! Yeah. I pondered on the meaning of homonyms. Walked the floor, deep in thought. Considered getting out the English grammar book lying around. Problem: its never around when one really needs to look. Light bulb moment: use the internet. Alas, no help. I considered the contact button located to the extreme right on the page bar. Then I remembered @DrWicked. Thought about sending an emergency tweet. Then considered sending an email. Neither one was a good idea. I needed immediate assistance, but didn't want the whole tweeting world to know. Email is almost as slow as snail mail these days. What to do? I sat back and looked up at the wolf who is the source of much inspiration for me. Glancing back down to the colored marks, I looked. I began laughing. Laughing so hard, I nearly fell off my chair. I discovered there was no need to send out an SOS. I had ended at least three years of puzzlement, thanks to the maiingan, the wolf. The words were highlighted in the event I used the wrong one. Teehee. Hahahahohohohaha. They're coming to take me away, hahahohoheehee. My serial, Stories of the People-Niiganabiik's World, has finally been accepted over to the Jukepop Serials site. 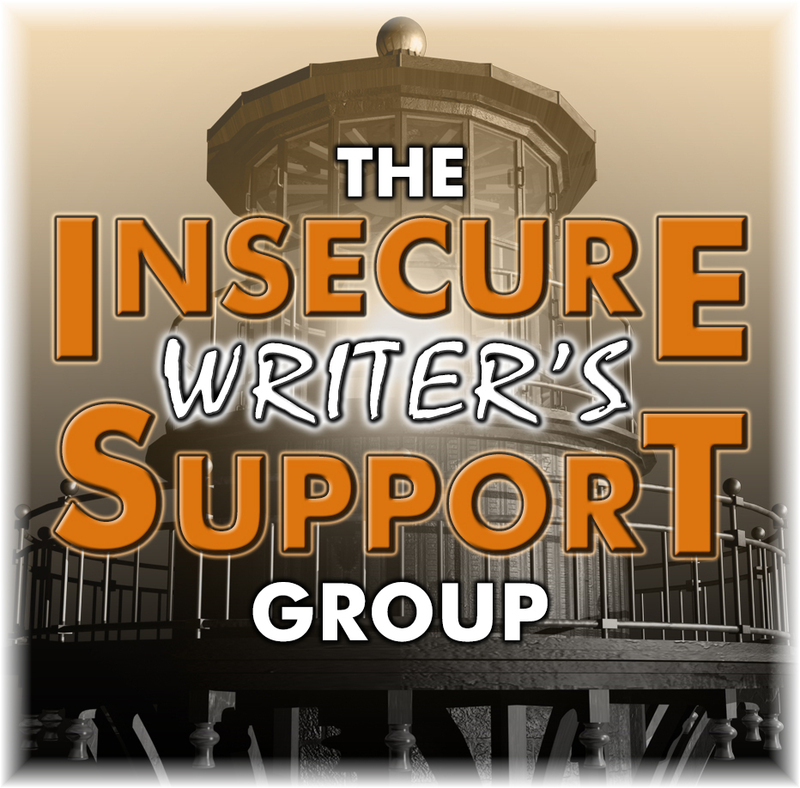 Those of you who have followed my sometimes convoluted journey through the writing world are familiar with some of the synopses I've posted here and there on one or the other of my various blogs and sites. I may have seemed to be one of those ditzy type people. I assure you, there is a method to my madness. In this great, big, wonderful world, there are many ways of getting to the same place. My way is one of them. My understanding of the ways of this particular site: You can vote for my story, you can make comments, suggestions, and add my book to your bookshelf. Of course, I am free to take comments and suggestions under advisement. How this works is what I've been searching for. I wanted to do something like this whilst polishing up my trilogies. That was the whole purpose of starting the StoryKeeper blog, which I will be using to concentrate on flash fiction. And now thanks to Jukepop Serials, I think I can move forward with my plans. Jukepop has instituted a donations button which I am finding a bit hard to set up. Not sure what I have done wrong, so it must be the gremlins having a bit of fun this late spring. The story is free to read, hmm, maybe not free in that you have to have an account to read, and vote. Oh and do tell me if you like the cover. I finally downloaded Aeon Timeline. I'm learning how to use it. And it has been worth the wait for the Windows version. At least for me. This is precisely what I've been looking for. I do have timelines from different spots here and there as well as the genealogical ones. Buuut...(I can hear one of my mentors "Do not use the word but. It is an excuse." which makes me extremely uncomfortable when I find I use it in my writing.) those programs made a lot of work for me. As some of you are aware, I have a gajillion documents, spreadsheets and what not on my computer. Therefore, when the gremlins strike, it makes me more than a little agitated, more than a little perturbed. I have yet to find the proper word for exactly how I feel whenever those imps of madness and mayhem show their giggling little faces. Enter Aeon. I was watching for the Windows version of Scrivener for years. Missed the rollout. Happily, I finally caught the bandwagon and and now happily making up for the time spent with WriteWay. I may have mentioned this a time or two. I am a bit unhappy with WriteWay as it is not being updated. Therefore, I do not know if the java, for surely it is one of the billion or so programs, devices, etc that use Java, is up to date and what effect it has. I can find no further word for this program. Thus, I switched my writing programs. Then lo and behold, I checked out Aeon over to the NaNoWriMo forums and it was available. Now, I downloaded it a couple weeks ago and now am in the process of trying to kick myself in the you know where. Unfortunately, I am not as flexible as I once was. Gave Aeon a try and Voila! I can now keep track of my various timelines, arcs and major events. Whilst transferring the various bits and pieces, I was able to sweep out the dust, err, plot bunnies. There were a great many of them in a pile when I stopped to examine the various nooks and crannies. There are a few more places that need to be checked out. I can now happily report that my world is a bit more balanced. It is a world that might be happier if I could come up with a more original name than "Niiganabiik's World."